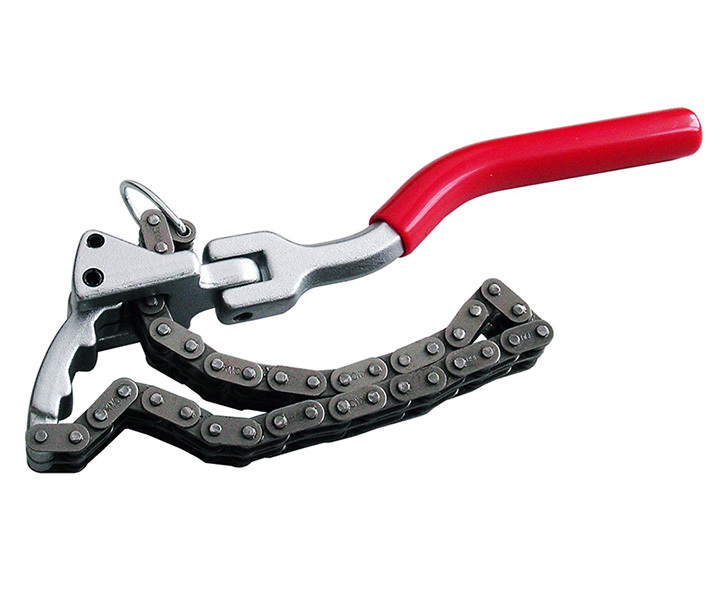 The cranked long handle on this oil filter wrench gives access to confined spaces. Flexible handle for narrow space. Double width chain for strength. Available for all type of oil filter.